How to watch W.E. (2011) on Netflix Argentina! Yes, W.E. is now available on Argentine Netflix. It arrived for online streaming on October 7, 2017. We'll keep checking Netflix Argentina for W.E., and this page will be updated with any changes. 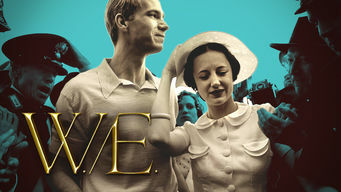 This glossy ensemble drama juxtaposes the lives of famous divorcée Wallis Simpson and Wally Winthrop, a young 1990s housewife. Modern love, breathtaking passion and history's most romantic scandal connect two women separated by decades.